Remember when you were a little girl and your mom would spend an hour brushing through your knotted, tangly hair and then tightly braiding it into two perfect braids? Yeah...we’re guessing you don’t have time for that kind of thing anymore. Are we right? You’re a busy girl boss with a packed calendar and booming social life. Even your Halloween weekend is booked solid, party after party. So allow us to help you out as you gather the finishing touches to your beer girl, milkmaid, or cowgirl costume. You can be en pointe and on time to your festivities, and you don’t have to worry about having enough hair bands on hand or whether the back part is perfectly straight. 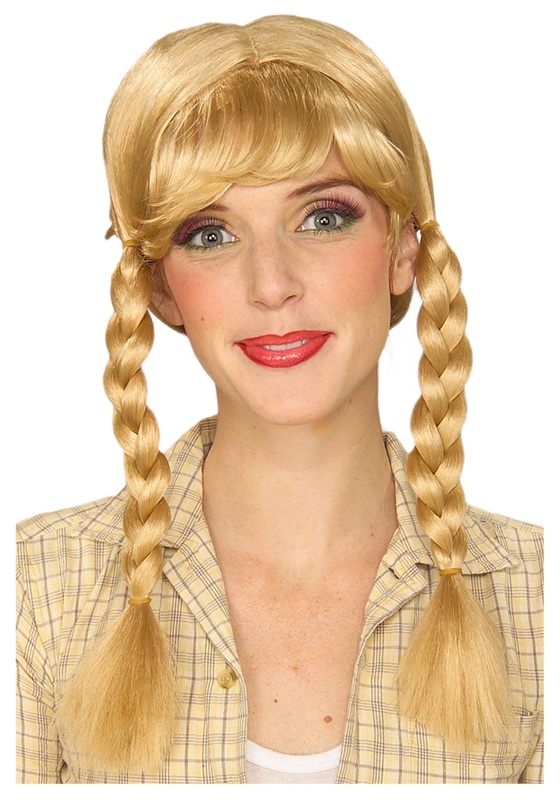 This Blonde Braided Wig gives the precision of your mom’s living room “salon” without wasting you precious time (or pain). They say there is nothing like a mother’s touch, but this wig kinda makes us want to beg to differ.